Are you a classical history buff searching for greater detail, but you’re not sure where to get it? Here you will find my guide to accessing the same resources as the professional scholars. My guide speaks from my own experience in the US, but the process is applicable to other countries. After reading lots of general history books I have become very interested in uncovering specifics. This has lead me to the primary sources: reports from archaeological digs, conference procedings, and specialized monographs. Generally, these are intended for fellow academics. Existing outside the academic world, it can often challenging for me to acquire these publications. However, the search itself can be fun, and it is always satisfying to finally gain access info at the end of the hunt. “History buff” is an appropriate term for a guy like me, but I much prefer “gentleman scholar.” It’s Much more charming, wouldn’t you say? A good place to start is the general history book. A look through the bibliography can direct you to more specialized texts. For instance, In Ross Cowan’s Roman Legionary, 58-BC-AD 69 he briefly describes the military decorations awarded to Roman soldiers. Little more than a page is devoted to this, but if you look in his bibliography you will see a reference to an entire book on the subject, The Military Decoration of the Roman Army, by Valerie Maxfield. Books written to a higher academic standard than Opsrey Publishing’s titles will have foot notes citing the references for each of the author’s statements. These citations are often specific to the page number of their source, making it all that much easier for you! BIAB The British and Irish Archaeological Bibliography is an online catalog exclusively featuring archaeology publications. Bryn Mawr Classical Review publishes timely reviews of current scholarly work in the field of classical studies (including archaeology). 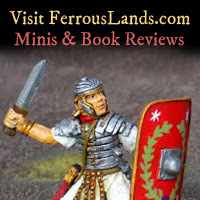 Roman Army Talk has a handy References and Reviews section, and a number of archaeologists and authors frequent the forum. Journals and Newsletters: Archaeology magazines and journals typically have a new book review section. The websites of archaeology associations often have a free downloadable newsletter, also with book reviews. Once you know the specific book you’re after, then the first place you should go is your local library. If they don’t have it (and they probably won’t), you can request it through interlibrary loan. Basically, your library will look through the holdings of nearby lending libraries. When your book arrive you may see that is came from 2 or 3 states away. This process varies somewhat from place to place. In Maryland I could easily request a book online. The books always came at no cost. Here in Colorado I have to actually go in the library in person and hand-write a request form. Sometimes the holding libraries here charge a fee to ship it to my local branch. If the lending library has too steep of a fee, you can also try requesting photocopies. This photocopy request can be made through your library’s inter library loan process OR you can try contacting he holding library directly. In general, I have found librarians to be more than happy to help. Tracking down your hard to find text is an engaging challenge—a welcome respite from their routine requests for the new Tom Clancy novel. Another option is to visit a nearby university library. Typically, you can only check out books if you pay a yearly fee. However, you can make all the photocopies you want, and you can request their books through your local library’s inter library loan. I used to go to the University of Maryland library quite a bit. On one occasion I had a rather amusing encounter with the librarian. I had emailed a request to put a book on hold. It was L’Arc d ’Orange, by Robert Amy—a french monograph about the Roman triumphal arch near Orange, France. When I told the librarian at the desk that this book was waiting for me she asked me for my “student ID.” “Oh, I’m not a student,” I replied. Assessing my apparently young age she questioned, “Are you an assistant teacher?” “No,” I said. “Then what are you?” she asked puzzled. “I’m just a guy” I said. Why would anybody read this stuff if they didn”t have to for a class, right? There’s a great online catalog, World Cat, that searches libraries all over the world. When making an inter library loan I often use this catalog to tell the librarian where copies of the book can be found. If you are looking for a journal article see JSTOR. This is an online database of with scans of print journals. You need to pay a subscription fee to use it from home, but most universities have their own subscription. You can visit a university library and print out your article at no cost. Sometimes you want for a really hard to find publication. No library near you has it, and it’s too expensive to buy. SOMETIMES if you contact the publisher they are nice enough to photocopy the appropriate pages for you. This is especially true if the publication comes from a small passionate institution. Local archaeological clubs, non-profit groups, museums, and various institutions often publish a journal or put out books. These people are excited about their study and are happy to share information. For instance, I was looking for a 1977 article about Fowl in Iron Age Britain appearing in the World Pheasant Association Journal. After no luck with libraries or book sellers I contacted I emailed the WPA. The president himself emailed me copies! After borrowing a book, you may like it so much that you want a copy for your bookshelf. Or maybe you can’t find your publication in any local library. You may even consider buying a book, making some copies and then selling it again. There are many book sellers out there, but I have listed only those which I have used. AddAll is a site that will search the inventories of used book sellers. This site is good for finding out of print publications. It is also useful to find titles from your favorite author (or vice versa). I have often used this site to figure out other books that might pertinent to my research. AbeBooks is another source for out of print books. The website is a collection of third party sellers. You pay AbeBooks, they pay the seller and the seller send you the book. My only caveat is if you don't see your book within 30 days, make sure you initiate AbeBooks return/refund process. I once ordered a book that was coming from Germany. A month went by without seeing the book, but I assumed it was simply delayed in customs or something. After another month went by it was still missing and too late to get a refund! Amazon.com is another excellent source for books. It is also a place where you can sell your used books. Hadrian Books is the exclusive distributor for British Archaeological Reports (B.A.R.). They also sell used books from a variety of publishers. ILAB is the International League of Antiquarian Booksellers. They are especially useful in finding long out of print publications. Oxbow Books is a highly regarded publisher and bookseller based in England. If you live in North America the site will direct you to the David Brown Book Company. Oxbow carries “everything on Archaeology, Prehistory, the Classical World, the Middle Ages, Egyptology, Near Eastern studies, and related Environmental and Heritage topics.” Oxbow can be a bargain because they often have damaged book at a reduced price. TRANSLATING FOREIGN TEXTThe French, Germans, Spanish, Dutch, etc. are as interested in their ancient past as the Brits. To read their texts Google has a brilliant language translation service. You can type in entire pages in French, German, Spanish, etc. and it will translate your text into your native tongue. If you use an Apple computer, download the language widget. This widget brings Google’s translation service to the convenience of your computer’s desktop.